I don't ever fake tan my face as it's just does nothing for my skin, I'm always left looking spotty and patchy. 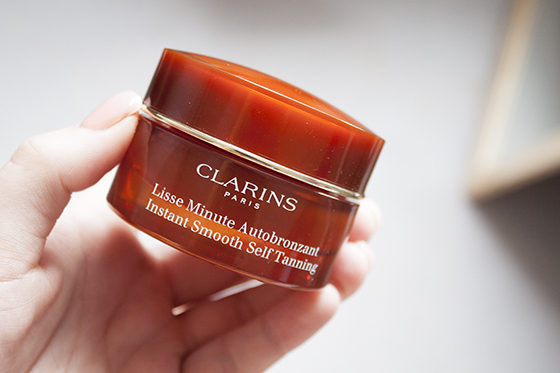 However I recently got hold of the Clarins Instant Smooth Self Tan so I thought I'd give it a go. My sensitive, combination spot prone skin loves the formula of the Original Instant Smooth Primer so I had high hopes for this one. It's a silky lightweight formula and has a really nice luminizing feel to it. Overtime it does leave the skin looking natural and tanned without being to heavy or breaking me out. 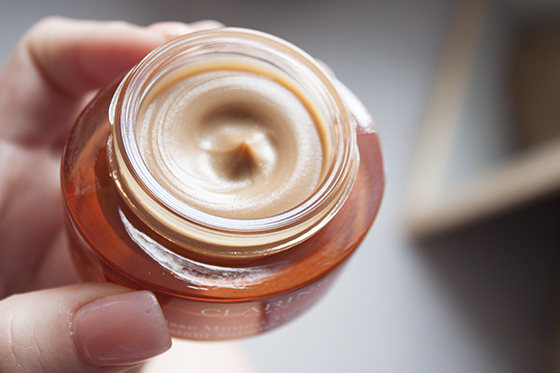 It smooths out my fine lines, pores and any other nasties leaving a flawless base for foundation. The formula is pretty much the same as the actual primer with just added tanning benefits. 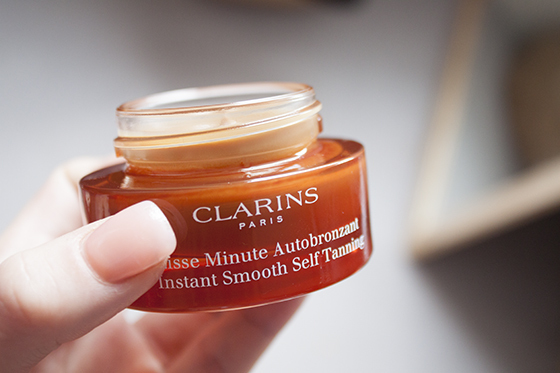 It's the perfect makeup base with a sun kissed glow with minimal effort. Perfect for the transition back into spring summer as you skin gets naturally darker. I think it also smells a bit like Cherry Bakewells which I absolutely love!